We have all heard of genetic testing but don’t really understand what it means. A genetic test is a type of (medical) test that recognizes changes or variations in genes, chromosomes, and proteins. The outcomes of this specialized kind of test can help confirm or dismiss a suspected genetic condition. It can also help establish if there is a chance for a person to develop or pass on a genetic disorder. There are a wide range of health conditions that require genetic testing but in recent times, new knowledge on phenomena that significantly affects the human wellbeing has caused health professionals to broaden their scope of research to include other types of genetic tests. The last two decades has witnessed a proliferation in the use of both medical and recreational marijuana in the United States. More states in the U.S. are clamoring for weed to be legalized in their respective jurisdictions as cannabis is a Schedule 1 drug which is still prohibited under the federal law. However, states like California and Washington have started to record remarkable success in harnessing its health and economic benefits. As the awareness of the positive effects of marijuana use keeps increasing by the day, health experts are ceaselessly carrying out various studies to determine that consumption of the substance is not only for short term benefits, but that cannabis can also establish its relevance, permanently, in the field of medicine. Hence, a new niche is created in the area of genetic testing—cannabis genetic tests. WHAT ARE CANNABIS GENETIC TESTS? Would it not be awesome to be able to do tests that give results on exactly how a person’s body reacts to the consumption of cannabis? That was a rhetorical question. Yes, it would. People react to drugs differently. While some people’s metabolism process chemicals easily, we have seen situations when others develop a kind of dependence that affects their professional and personal lives, and even processes like cognition and feeding. Anantlife, a Canadian company is the pioneer of the new niche in genetic testing. The company launched cannabis genetic testing which was developed by its head scientific officer, Dr. Rahul Kushwah, to aid doctors in determining if a targeted treatment is right for an individual or not. The aim was to be able to evaluate the possible side effects of recommending cannabis to a patient before doing so. And since the September of 2017, cannabis genetic testing has been available in many marijuana dispensaries in the United States. 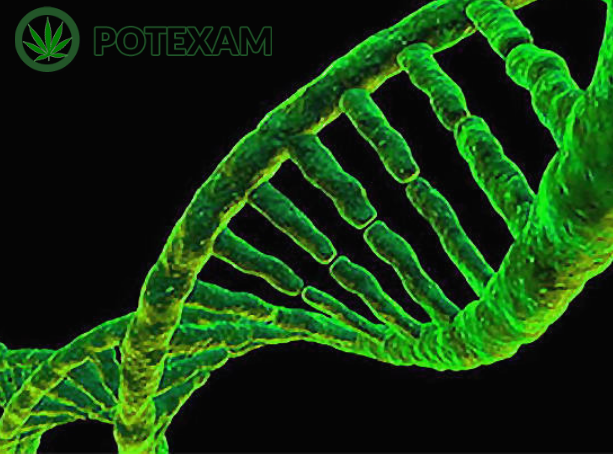 After a sample of an individual’s saliva has been taken, the company (or individual) will: (1) carry out an analysis of the saliva sample, using the most current DNA sequencing technologies; (2) identify the genetic markers during the sequencing involved in the metabolism of cannabis; and (3) analyze the person’s genetic data and health conditions. With the information gathered from the processes, the doctor then will then be able to make prescriptions on dosage and cannabis strain. The simple truth is, even doctors that prescribe marijuana are not usually comfortable doing so without being able to determine these factors. It cannot be overemphasized that cannabis genetic tests help the medical marijuana industry. It increases the confidence of doctors when giving marijuana prescriptions and advice on dosage. It also gives doctors a guide based on evidence, to determine a kind of treatment that is, at the same time, safe and effective. Before the cannabis genetic tests, there was no personalized approach towards treating a patient. Treatment just centered on what’s most effective for an average person, not taking into consideration that everyone is wired differently. This development however provides the medical marijuana health professionals with information that provides more patient-based treatments. Cannabis genetic testing may also bring an end to the Opioid menace. Opioid is used by millions of Americans in the treatment of severe pain. The substance is however addictive. Cannabis has analgesic compounds, and proper testing of patients can help them find strains of cannabis to substitute for opiods, and this, potentially, may mark the beginning of the end of the opioid crisis.